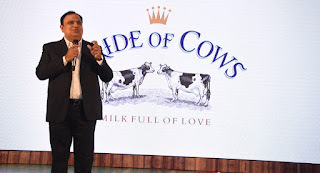 PUNE: Pune-based dairy company Parag Milk Foods has launched its premium milk brand 'Pride of Cows' in South Delhi and National Capital Region. Gradually, they will expand to the entire state in the next couple of months. To provide farm fresh experience, the company will airlift the milk from their dairy farm, in Manchar, near Pune and bring it to consumers in Delhi. Devendra Shah, Chairman, Parag Milk Foods said the company will majorly focus on logistics and distribution and it will take between six to seven hours for milk to get delivered. The rationale of the move, he said, is to strengthen company's presence in North. "Delhi NCR is the largest milk market of the country valued at around Rs 11,000 crore." Currently, they serve 25,000 households in Mumbai, Pune and Surat. The USP of Pride of Cows is its direct farm-to-home milk concept, especially for consumers who want a healthy lifestyle, consuming natural and unadulterated products. The milk will be sourced from the company's dairy farm Bhagyalaxmi Dairy, which has 3,000 Holstein Freisan cows. The company claims to be using technology for cow comfort and to ensure milk is packaged with zero human intervention. 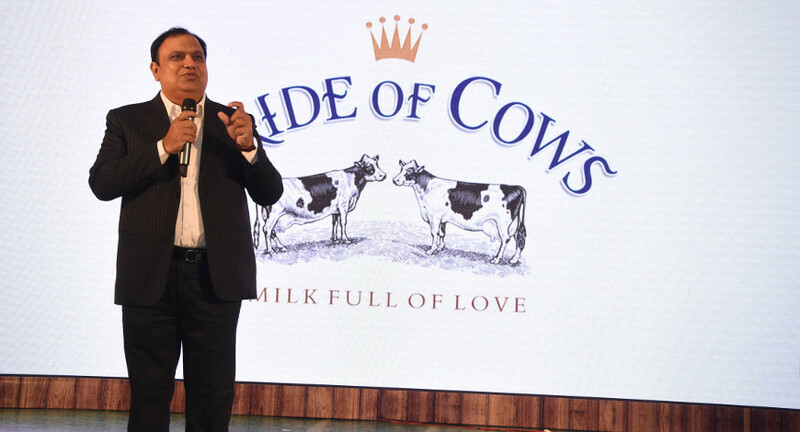 "The Company's revenues from Pride of Cows has grown at a CAGR of 28 per cent over FY13-18 and it will continue to grow at this pace," said Shah at the launch. The Rs 120 per litre milk brand is currently available only by a 'by-invitation' based model and consumers can subscribe to the premium milk on the Pride of Cows website and mobile app. The company recently acquired Danone facility in Sonipat and commenced the operations with pouch milk supply under their Gowardhan brand.